Equally, it is evident that asset managers are taking stock of the potential domiciles available to them with an eye to making a strategic move into Europe. For investors and managers, Malta, in its sixth year of European Union membership, is standing out for various reasons. Its positioning as an international EU-based fund and fund management domicile presents a compelling proposition for fund managers aiming to set-up or redomicile to Europe, or setting up/ relocating their operation to a European base. Despite the uncertainty that gripped the world’s leading economies, 2010 has been another strong year for Malta’s funds industry. When widening the review of the performance of the funds industry to the service providers, the formation of a cluster is evident. The number of asset management companies has increased to 77 (a 20% year-on-year growth), as has the custody dimension following the announcement that Deutsche Bank upgraded its licence to be able to provide custody services apart from HSBC and Bank of Valletta, through JP Morgan. From just two administrators in 1996, Malta today hosts 18. Malta’s positioning as a financial services jurisdiction was recognised by the World Economic Forum – it was ranked 11th (out of 139 countries) in ﬁnancial market development in the Competitiveness Index 2010-11. The growth of the fund industry has been spearheaded by the authorisation of various professional investor funds (Pif) which are regulated under a regime introduced by the Malta Financial Services Authority (MFSA), its single regulator. The Pif framework comprises Experienced Investor Fund, Qualifying Investor Fund and Extraordinary Investor Fund. more than 400 investment funds registered in Malta, primarily consisting of Pifs, with the additional inclusion of Ucits schemes as well as retail non-Ucits funds. The regulatory framework is supported by a comprehensive legal framework allowing such funds to be set up as Sicavs, Limited Partnerships, Trusts and Contractual Funds. In an international market environment where a number of offshore funds are seeking to establish an onshore presence, the well-regulated Maltese model of funds has become a primary differentiator for those within the alternative funds space. It is also pertinent to point out that a similarly important draw is Malta’s re-domiciliation policy, which has become a benchmark for those operating within the alternative investment funds space. Back in 2002, Malta’s parliament enacted the Continuation of Companies Act, a tried and tested legal framework catering for the seamless re-domiciliation of companies (or funds) to or from the country. In this sphere it has experienced the re-domiciliation of a number of alternative investment fund platforms from various non-EU jurisdictions, some of which have been restructured to Ucits and are passporting to various EU jurisdictions. The choice of Malta as a fund and fund management domicile presents a number of unique benefits for fund managers either considering setting up or re-domiciling their funds or re-locating their fund management operation. Spearheading these factors are the cost competitive set-up and on-going operational costs of establishing a fund or fund management company. On the regulatory front, the MFIA is seen as a strong advocator of meticulous but fair regulation and has built a reputation for openness and even-handedness, while allowing a degree of autonomy. 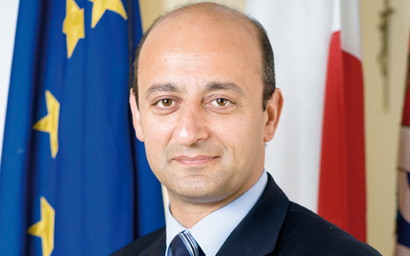 The regulator’s open-door policy and diligent supervisory function is widely recognised as one of Malta’s key advantages and something which differentiates it from its European homologues. Equally important is the presence of a highly-skilled, diligent, multi-lingual workforce, which is driven by the presence of an educational system where university degree programmes are not only free, but the government pays a stipend to students seeking to pursue tertiary education at the University of Malta, one of the oldest universities in Europe. Malta also benefits from an excellent fund services industry, which has blossomed as the alternative funds space has grown. A number of high-profile service providers have moved to the island alongside a strong network of fund administrators, legal firms and advisory experts. Also notable is the presence of all the top four international audit firms. Its IT communications infrastructure is well-developed. Large bandwidth networks provide high capacity communications to and from the island, and digital networks, satellite technology, and high capacity fibre-optics link Malta with the rest of Europe. Voice-Over-Internet-Protocol Services (VOIP), WiMax and 3.5G are available, enabling companies to make substantial savings on telecommunication expenses. In conclusion, for those fund managers seeking to do business in Europe or the Middle East and North Africa region, Malta is a highly interesting alternative worth exploring. With daily flights to the main European cities, a highly-educated workforce and cost-competitive operational environment, it is positioned as a compelling EU-based fund domicile.